Home / #Health / #Science / #TrueNews / #Health : Vancomycin "magical" antibiotic is a real fighter against superbacteria after modifications ! #Health : Vancomycin "magical" antibiotic is a real fighter against superbacteria after modifications ! The key to fighting superbugs could lie within the re-engineering of a "magical" antibiotic which already exists, according to researchers who have managed to give new "superpowers" to the medication. Scientists at The Scripps Research Institute (TSRI) have modified the life-saving drug vancomycin, after discovering how to structurally modify it to make the already powerful version even more effective. The original version of vancomycin is so impressive that it has been described as "magical" by lead researcher Dale Boger, co-chair of TSRI's Department of Chemistry, because bacteria are only now developing resistance to it – even though doctors have been prescribing it for 60 years. And while studies by Boger and his colleagues have already shown that it’s possible to add two modifications to vancomycin to make it even more potent, the key now lies in a third modification which "interferes with a bacterium's cell wall in a new way," TSRI wrote in a press release. 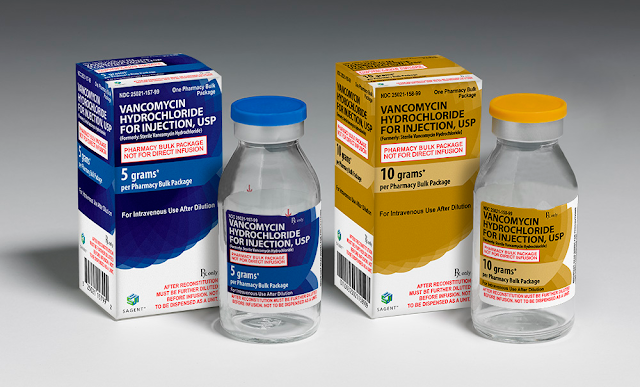 Combined with the previous modifications, the altercation "gives vancomycin a 1,000-fold increase in activity, meaning doctors would need to use less of the antibiotic to fight infection." The revelation is particularly significant because it makes vancomycin the first antibiotic to have "three independent mechanisms of action." In short, this means there is a much better chance of killing off targeted bacterium. "Organisms just can't simultaneously work to find a way around three independent mechanisms of action. Even if they found a solution to one of those, the organisms would still be killed by the other two," Boger said. For example, when the most recent modification was tested against Enterococci bacteria, it managed to kill Enterococci which was resistant to the original form of vancomycin, along with other forms of the bacteria. The researchers say the next step is to design a way to synthesize the latest modification of vancomycin by using fewer processes in the lab, as the current method involves 30 steps. However, Boger has called that the "easy part," compared to the task of developing the modified version in the first place. Boger went on to stress the importance of developing the new modification, considering many antibiotics are failing to tackle certain bacterium. "Making this molecule is important, even by the current approach, if the failure of antibiotics continues," he said. The modification could indeed prove highly beneficial in the fight against drug-resistant superbugs, which has become a widespread concern across the medical community. Last year, the World Bank released a report which warned that human antibiotic resistance combined with the rise of superbugs could potentially kill 10 million people by 2050 and devastate some countries' economies. The TSRI study was published in the journal Proceedings of the National Academy of Sciences on Monday.